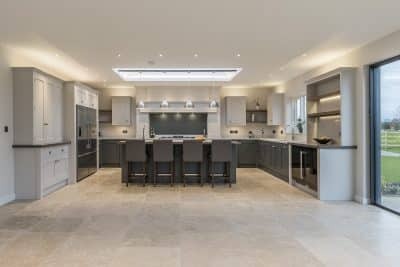 Architectural inspired kitchen on a grand scale. 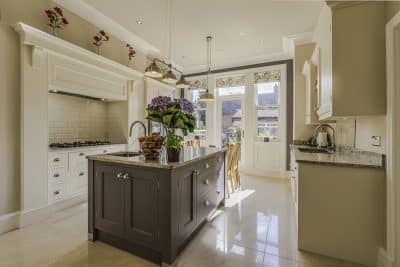 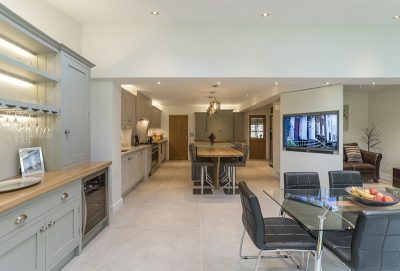 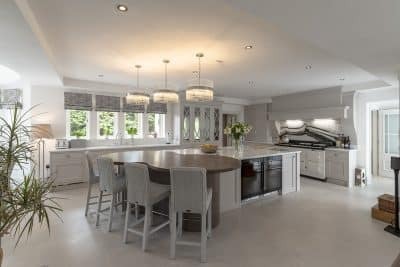 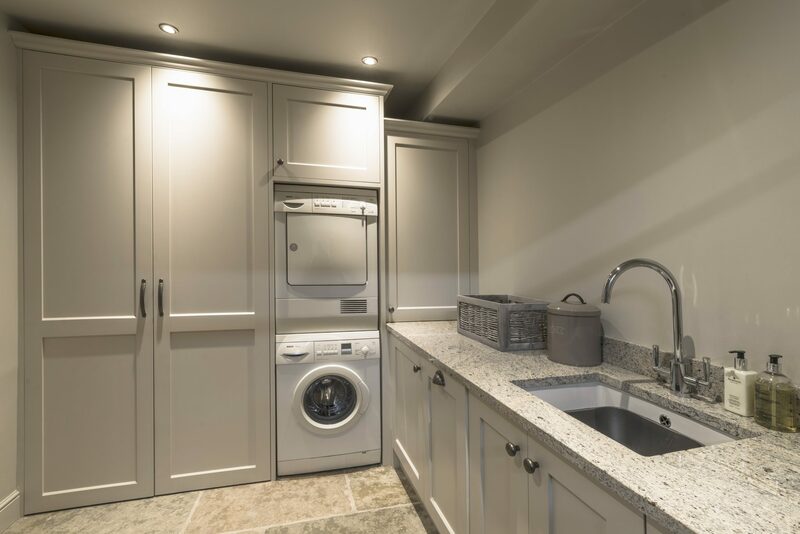 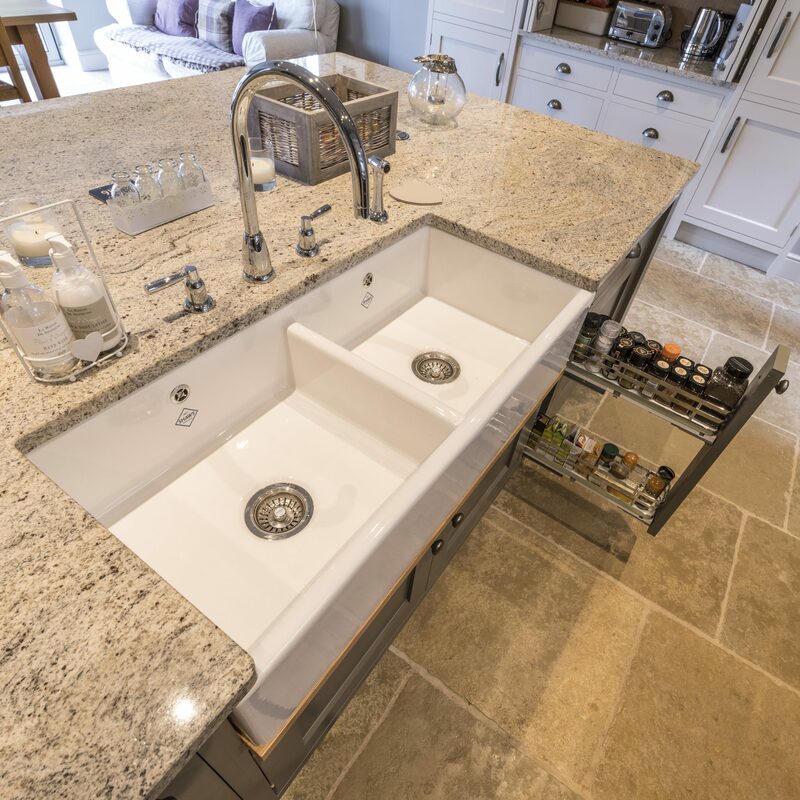 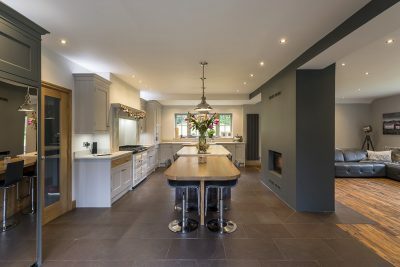 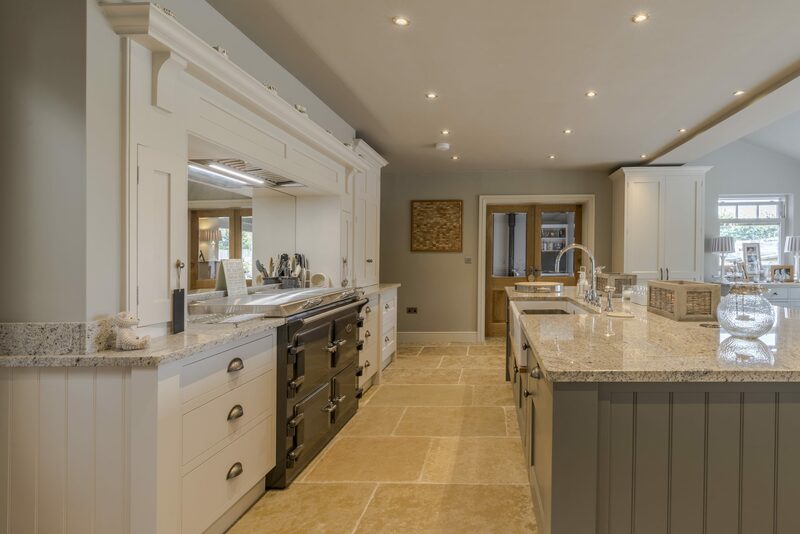 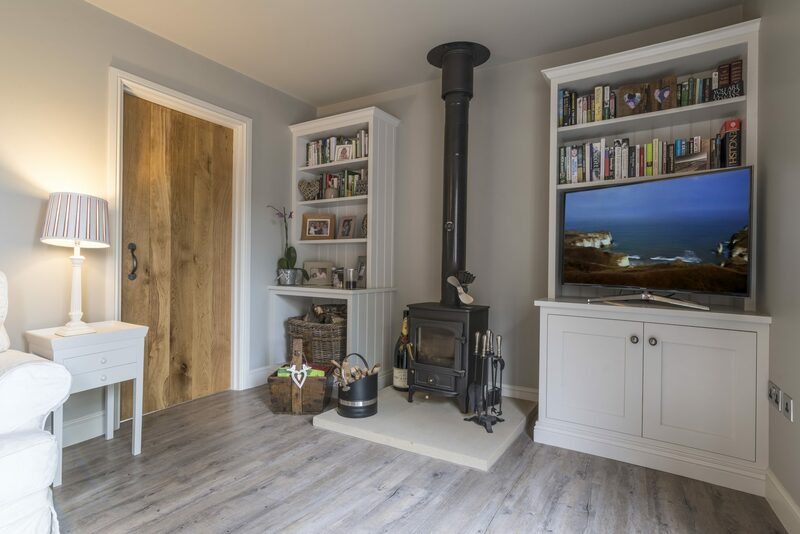 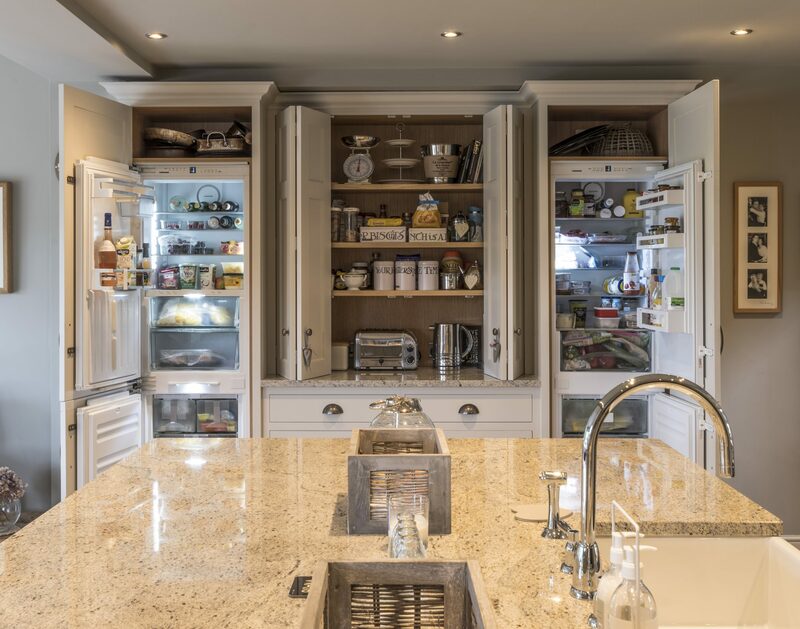 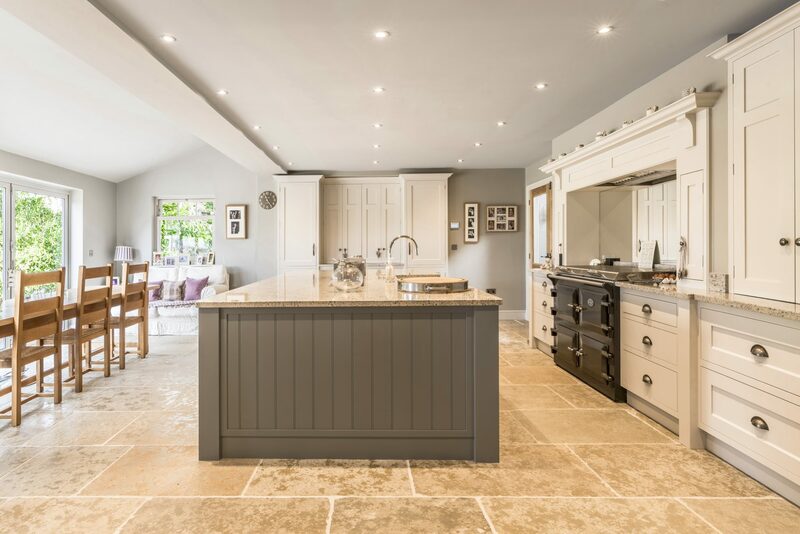 Featuring scribed doors, chunky posts, traditional plinths, large moulded cornice, extra-large island, All help to give this kitchen opulence and luxury. 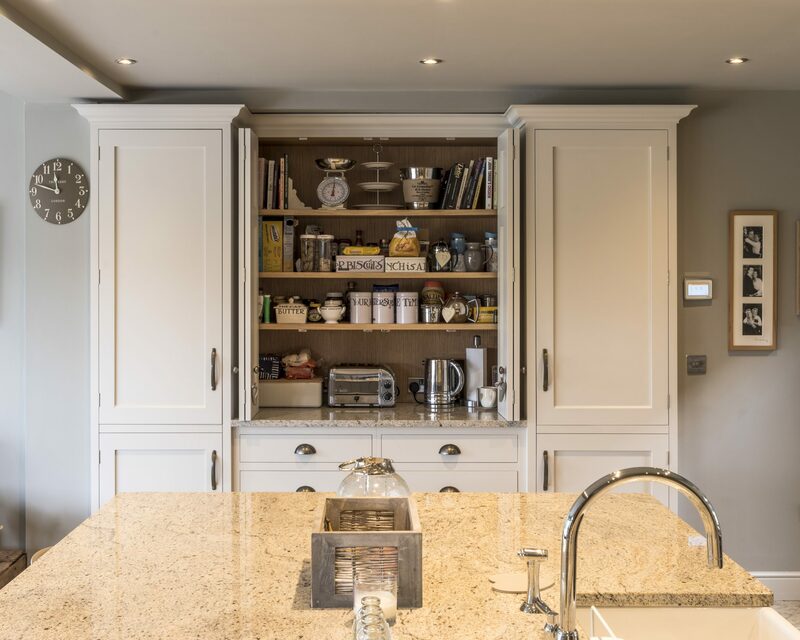 The wine cabinetry in the entrance hall, with high gloss Macassar Ebony mirror frame, really show off the skill level of our Cabinet makers and Installation team.